I had my heart set on going to the Altitude Summit Salt Lake City (Alt SLC) conference which is one of the most well-regarded of all the blog conferences. But when registration was announced and I saw the fee, I knew I had to pass. The cost is $625. That’s not chump change. That’s a lot of money, especially since the majority of blog conferences are merely regurgitating information that can be found online. Let’s be real, whatever you need to be successful as a blogger, (whether that’s SEO or social media or finding sponsors), can be learned by doing a handful of Google searches. It’s not hard, people! You don’t need to spend your hard-earned cash paying a registration fee on top of a plane ticket on top of hotel accommodations in addition to transportation as well as time off from work if you’re not going to get the ROI. Let me run some comparisons for you. 400+ attendees in 2011 – I could not find good current estimates despite reading a bunch of recaps online. I attended Altitude Summit’s SF conference a month ago. I wrote this recap. Limited information is available on this conference, but details here. 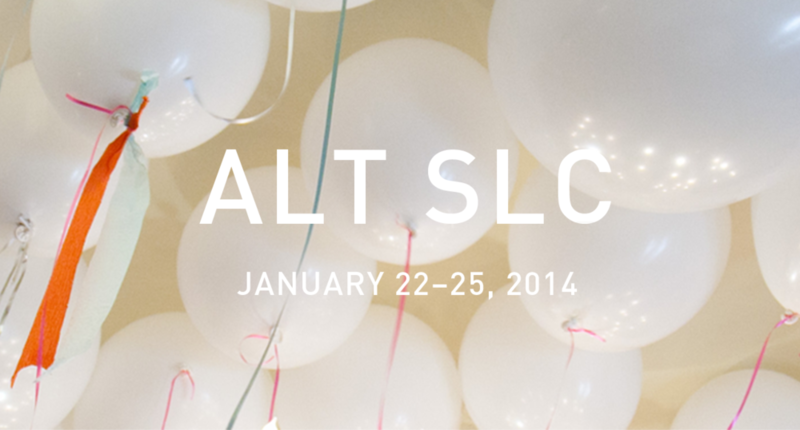 I wanted to add South by Southwest as the real kicker as a comparison to Alt SLC Blogging Conference. SXSW is a marquis conference: 5 full days of programming, 30k attendees, and almost 2k speakers. SXSW is charging $795 for the interactive track of their conference, compared to $625 for Alt SLC. This is a no brainer. Alt SLC is so expensive compared to the other conferences. Even the main BlogHer conference with way more attendees, way more sponsors, and the best keynote speakers is one-third the price! I don’t mind spending the money on a conference where I see value, but the fact that Alt SLC Alt SLC Blogging Conference is so much more expensive than conferences that have better programming makes me scratch my head as to who is willing to register and spend this kind of money. Nevertheless, I look forward to the Alt SLC recaps! What has been your experience with any of the conferences mentioned above, or any other blog conference I did not mention? Do you have plans to attend a blog conference? I thought you didn’t like it when it was in SF anyway. I wouldn’t have expected you to go. I went to BBC & I’m going to Blogalicious. I’m looking forward to it. I’ve only been to Alt SF so I can only speak to my experience there, but I didn’t see the ROI and it was local! Obviously the networking is key, but the take-away from blogging conferences (in my mind) does not justify the total cost of attending. Again, I’ve only been to one. I do want to go to BlogHer (the main one) because they have amazing speakers and the networking is tremendous. Seriously, they need to raffle away some tickets because it’s truly cost prohibitive. I would love to attend a conference. And I kick myself that I missed BlogHer’s last year when it was in NY. But I just can’t justify leaving my family and the cost right now. Maybe someday in the future!! I do want to check out BlogHer. The speakers alone are worth the price of admission! Let’s go to BlogHer!!! Please blog about your experience at BBC, I’m very curious what you think. I’m going to attend my first conference in October – it’s local and only $100. I would love to attend a Bloggy Boot Camp or BlogHer, but it depends on where it is and how much. If it’s local and only $100, that’s the best case scenario. But for bloggers who have to pay for the ticket, travel, hotel, etc…I cannot justify the expense. I attended ALT SF and really enjoyed it! I agree, the talks were more inspirational versus educational, but I did not mind it. Since returning from Alt, I have had great leads from sponsors and people I met, so it was worth the time and investment. I attended BlogHer 12 in NYC. BlogHer is SO big, I had a lot of fun, met some wonderful bloggers ( and listening to Martha Stewart, Katie Couric- amazing), but the connection with sponsors, admist a sea of thousands of bloggers, at least for me, was not there. Also, I did not meet bloggers in my genre. I thought the classes were terrible (way too beginner) However, due to the feedback (I guess many agreed that the classes were lackluster), I heard classes this year were much better! So, I enjoyed the “smallness” of Alt over the hugeness of BlogHer. Alt For Everyone had wonderful classes, have you checked into that? All online and affordable! Hi Laurel, I’m bummed I missed you at Alt SF! Alt SF is the only conference I’ve done so I do feel I need to go to another one or two to at least give blogging conferences a chance. I have not done Alt for Everyone, but I have done a couple of their online classes which I did think were useful, so maybe I will consider the Everyone conference and see how that goes. At least I can do it in my PJs! I haven’t been to a blog conference but would love to! My goal is to attend one within the next 12 months. I’m really new to the whole blog scene and like you said, a lot of the information you can find for free online but I think the opportunity to connect with other bloggers would be cool.